*Please note the C-100 CPAP Battery has been discontinued as of June 2016. 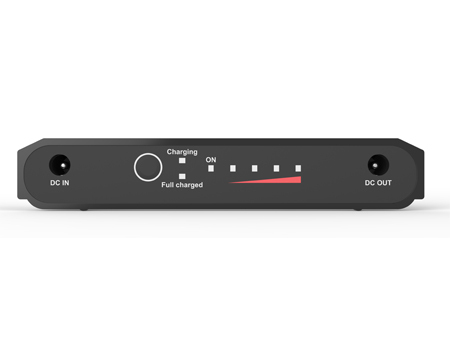 The C-100 CPAP Battery is a small, lightweight external lithium-ion battery solution that packs a big punch of power allowing you the freedom to power your PAP device no matter where your world takes you! 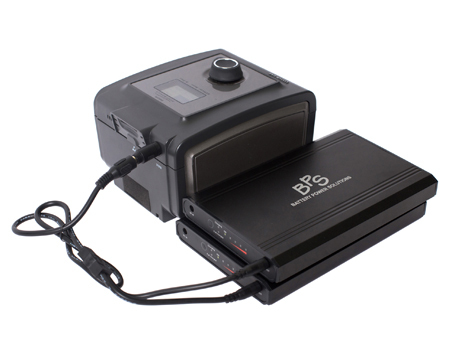 The CPAP Battery is the perfect solution for tent campers or us in RVs and travel trailers. It's also great for those who travel both near and abroad as it meets requirements for lithium-ion batteries that can be taken in carry-on baggage. Going off the grid or just need even more time to enjoy your outdoor adventures? With the addition of the Auto Charge DC Cable or Sine Wave Power Inverter you can charge the CPAP Battery via the cigarette lighter/power socket of a vehicle; or with the addition of the Freedom 40W Solar Panel you can charge the CPAP Battery using the power of the sun. When inclement weather hits you can use the CPAP Battery as an emergency backup during power outages so you never have to worry about another sleepless night without your CPAP machine. 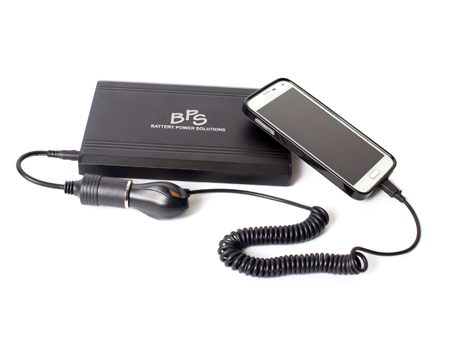 As an additional bonus the C-100 CPAP Battery can also be used to power other small electronic devices such as smartphones, laptops and iPads. 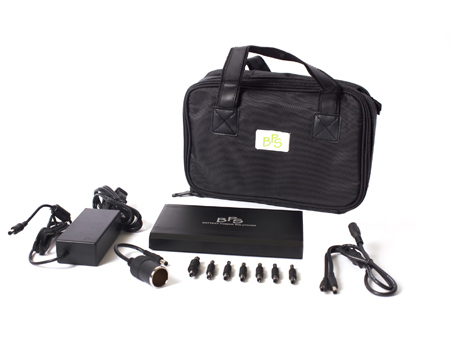 Provides 12V direct current to operate most makes and models of CPAP, BiLevel and other PAP devices. View the Specifications tab for PAP device compatibility and average run time information. Four stage LED power gauge indicates remaining Battery power level. Equipped with standard smart chargers that keep the CPAP Battery topped off and ready to go as an emergency power backup during power outages. Use on land, at sea or in the air. 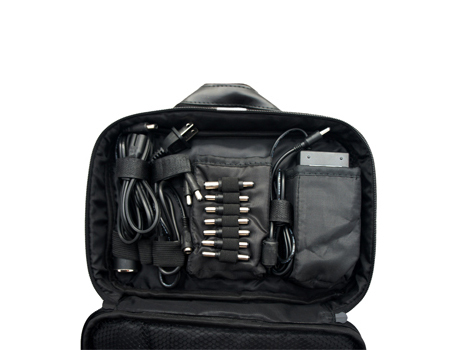 Great for powering your PAP device during your outdoor adventures, on boats/cruise ships and long airline flights. Options for charging the CPAP Battery via the cigarette lighter/power socket of a vehicle or using the power of the sun when AC power is not available. Use the CPAP Battery to power other small electronic devices such as cell phones, tablets, iPads, and more. UN tested so the C-100 CPAP meets all current requirements for shipping via land, air or sea. Power connection components are available for Respironics DreamStation, ResMed, and other PAP device models. View the Specifications tab for additional information. Please note these components are not included in the standard CPAP Battery Kit. 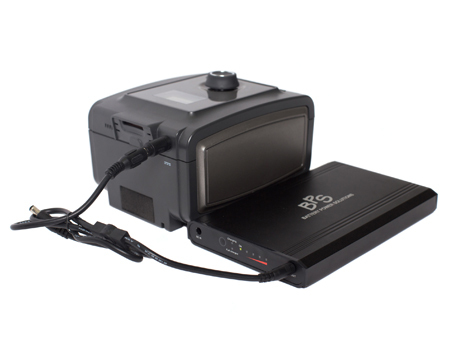 The C-100 CPAP Battery will operate most makes and models of PAP devices; however, the DC capability, voltage requirements and DC port requirements of the device will determine how it connects to the CPAP Battery. Some devices will require the use of an additional power connection component which is sold separately from the standard CPAP Battery Kit. Multiple factors will affect how long the C-100 CPAP Battery will power a PAP device, including, but not limited to device type (CPAP, BiLevel, AutoPAP, etc. ), pressure setting, altitude, humidifier usage, and if an additional power connection component is required. The use of heated humidification or heated tubing will significantly reduce expected run times and could prevent the CPAP Battery from being able to power the PAP device. To obtain optimal performance we recommend you forgo the use of heated humidification. Using cool or “passover” humidification will not reduce expected run times. BiLevel and AutoPAP/APAP devices will generally have lower run times as the pressure setting is not constant and changes throughout the night requiring more power to operate the device. 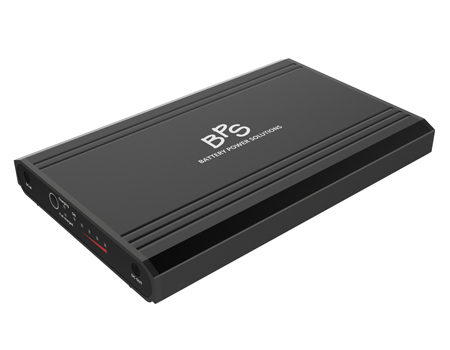 *The 12V power adapter for the DreamStation Series will be available in mid December 2015. *ResMed S8 Series Device Warning: The DC input port on S8 Series models run opposite polarity from other model devices. DO NOT connect the CPAP Battery directly to any S8 Series model device as doing so will damage the S8 device. Don't see your PAP device listed above? Just give us a call at 877-445-5228 or email us at info@batterypowersolutions.net and we can let you know if the C-100 CPAP Battery is compatible with your device. The C-100 CPAP Battery, components and accessories are under warranty for manufacturing and quality defects for one (1) year from the date of purchase.